Las Tortilleras. Mexican native woman clothing. Home » Las Tortilleras. Mexican native woman clothing. A tortilla is a Mexican flatbread. From this famous image there are many variations. Here is the original version. In the gallery there is a variation to see. 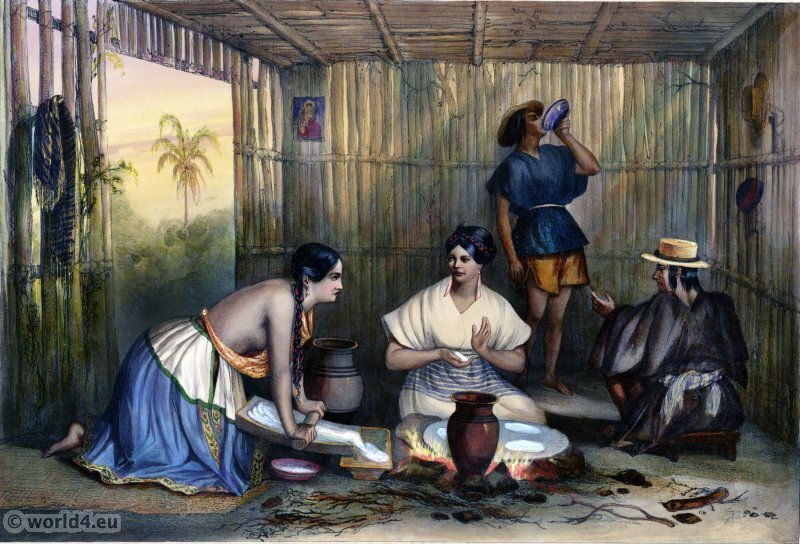 Source: Voyage pittoresque et archéologique dans la partie la plus intéressante du Mexique by Carl Nebel. Published 1836. 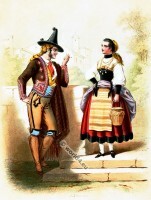 Couple in the costumes from the Canton of Bern. La Mantilla. Traje por la mañana. Mexican Costumes. Peasant from Târnava Sibiu, Transylvania. This entry was posted in 1836, 19th Century, Latin America, Mexico and tagged Carl Nebel, Latin American folk dress on 4/23/14 by world4.